Claudio Roditi needs our help! 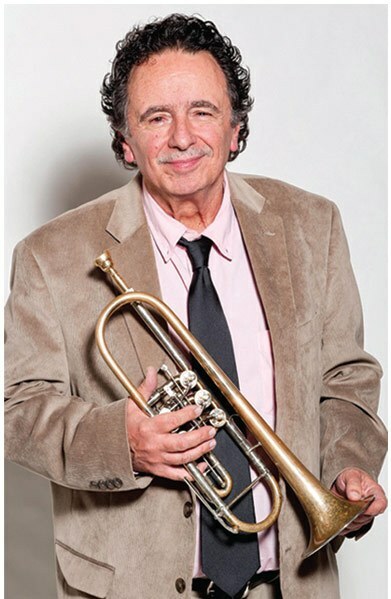 "As many of you in the music community may already know, the great Brazilian trumpet master Claudio Roditi has been fighting the battle of his life. Last year he was diagnosed with prostate cancer and a tumor that was considered too dangerous to remove until it could be shrunk. To make matters worse, the cancer had metastasized into his lung and lymph nodes. After receiving chemotherapy we were all encouraged when his numbers decreased and the tumor had shrunken some. Unfortunately this long battle started to cause additional problems and this week he was admitted to Memorial Sloan Kettering hospital in New York. His CAT scan detected the cancer growing again and he must now undergo more chemotherapy. I am reaching out to our loving musical community for donations to help Claudio financially in his hour of need. He has not been able to work much during this terrible ordeal and his funds are nearly depleted. Any help you can give will be greatly appreciated… and never forgotten. Please keep Claudio in your prayers." 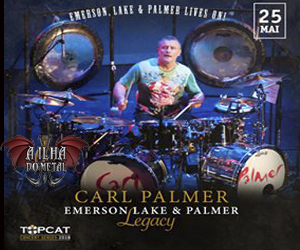 Carl Palmer presents "Emerson,Lake & Palmer Legacy" live in Brazil! 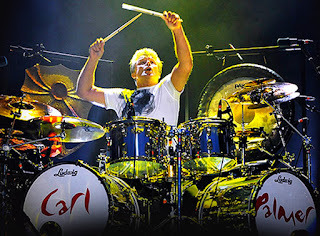 Carl Palmer é um dos bateristas mais aclamados e conhecidos do mundo, fundador de bandas como Emerson, Lake & Palmer e Asia, e eleito mais de 10 vezes, pelo jornal inglês Melody Maker, o melhor baterista de rock do mundo! Agora neste final de Maio de 2018, ele traz para o Brasil a turnê EMERSON LAKE & PALMER LIVES ON!, uma homenagem/celebração aos seus companheiros de ELP Keith Emerson e Greg Lake. As apresentações serão em São Paulo (Espaço das Américas, 24 de maio), Rio de Janeiro (Vivo Rio, 25 de maio) e Niterói (Teatro Municipal de Niterói, 26 de maio). Os shows fazem parte da Top Cat Series, sequência de shows internacionais promovida pela Top Cat Produções Artísticas. "Eu sempre sentirei muita falta do Keith e do Greg, que perdemos em 2016," diz Palmer, durante uma das pausas da maior excursão solo da sua carreira. "Agora sou eu que levo adiante o nome do ELP, pretendo continua tocando nossa música ainda por muitos anos. A resposta dos fãs do ELP tem sido incrível, senti que devia isso a eles, continuar". A tour chega com o lançamento internacional do pacote DVD/ CD 'Pictures at an exhibition', o tributo de 2016 para Keith Emerson (que contou com o guitarrista do Genesis, Steve Hackett - que também vai se apresentar no Brasil), o tecladista e vocalista do Vanilla Fudge Mark Stein e o baterista David Frangioni) e do CD Live In The USA, ambos pela BMG Music, que também relançou o catálogo da banda. Além da forte presença de Palmer no palco, a turnê também vai destacar seu trabalho nas artes plásticas, feito há pouco tempo em parceria com o californiano Scene Four Art Studios. Palmer recentemente criou duas novas imagens: 'Welcome back' (dedicada para Emerson) e 'Lucky Man' (dedicada a Lake) e várias outras peças e fotos e imagens históricas, que serão exibidas durante as apresentações em vídeo projetado no fundo do palco. Carl Palmer ELP Legacy é um power trio quente com o próprio na bateria e percussão; o guitarrista Paul Bielatowicz e o baixista Simon Fitzpatrick. "Desde 2001 toco com meu próprio trio, trocando os teclados pela guitarra," conta Palmer. "Eu senti que seria a maneira honesta de me aproximar da música do ELP, esse formato fez sentido pra mim. A ideia era reinventar essa música." 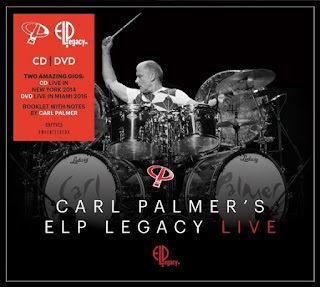 Carl Palmer's ELP Legacy vai tocar um set instigante de rock progressivo, e entusiastas da bateria podem esperar uma noite de rara exibição de talento percussivo, do homem que levou a bateria para a linha de frente do rock. Desconto de 30% para clientes "TudoAzul"
- Desconto de 30% no valor do ingresso para clientes TudoAzul participantes de todas as categorias do programa (TudoAzul, TudoAzul Topázio, TudoAzul Safira e TudoAzul Diamante - confira o regulamento no site. - O endereço da bilheteria do Espaço das Américas é Rua Tagipuru, 795 - Barra Funda - São Paulo - SP (funcionamento de segunda à sábado, das 10h00 às 19h00). - Ingressos antecipados: terça a sexta, das 10h às 18h. - Ingressos para o espetáculo do dia: das 10h até o início do mesmo. When you enter the Song of the Year songwriting contest, you will automatically be eligible for the Studio Microphone Giveaway. Three individuals will be selected to receive the BLUE Bottle Rocket microphone and four microphone capsules. 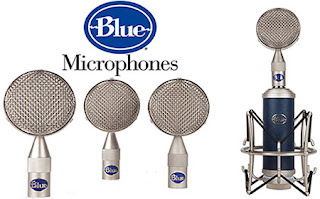 It is like having four mics in one! 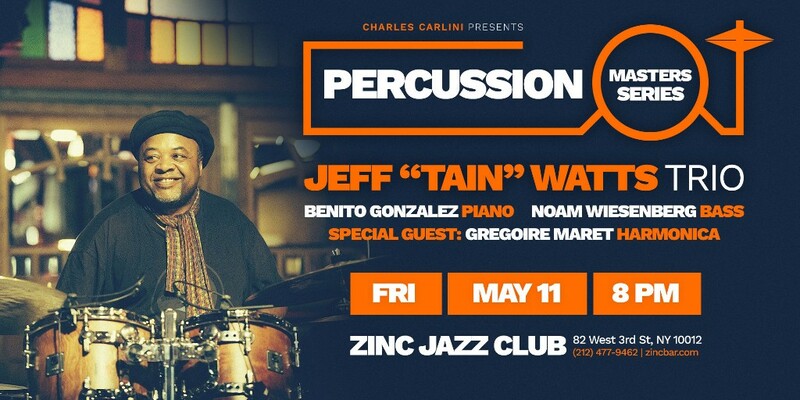 Tomorrow only: catch master drummer Jeff "Tain" Watts @ Zinc Jazz Club, NYC. Featuring Benito Gonzalez (piano), Noam Wiesenberg (bass), Gregoire Maret (harmonica). If you missed them at Maureen's Jazz Cellar in April, you can hear them again for one night only at MEZZRO! $20 music charge; $10 for students. Two shows at 8:00 and 9:30 pm. 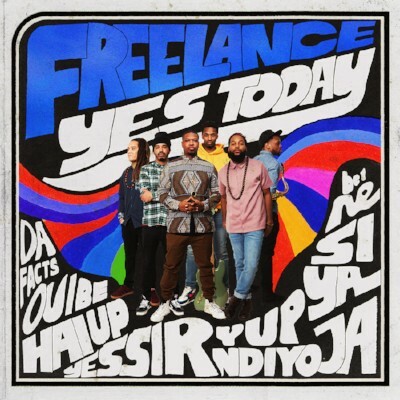 REVIVE Music is thrilled to announce the May 11th release of Yes Today, the debut album from Harlem-based music collective Freelance. The first release under REVIVE Music's independent label division, Yes Today is a genre-defying 13 track opus that serves as a spiritual reflection on the struggles faced by people of color in modern America. Distilled from Freelance's signature, dynamic live performances Yes Today is a lush, groove-dominant clinic in the power of seizing the moment and saying "Yes Today!" Yes Today was previewed yesterday, at Nublu, located in New York's Lower East Side, as part of Freelance's monthly residency, which has been playing to sold-out rooms throughout the city for the past several months. On May 10, the group will return to Nublu to celebrate Yes Today's official release. Freelance features an all-star lineup of musicians that regularly accompany Grammy Award winning artists such as Robert Glasper, Solange, Estelle, Esperanza Spalding, Terence Blanchard, Bilal, Terrace Martin, Lalah Hathaway, and more. Comprised of founding leaders Smithsoneon (vocals) and Ausar the Ambassador (keyboards) along with Craig Hill (saxophone), Yasser Tejeda (guitar) and David "Dj" Ginyard (bass) and Justin Tyson (drums), Freelance's sound is born from the sonic footprints of Mint Condition, Earth Wind and Fire, Stevie Wonder, Radiohead, and Robert Glasper. Also featured on a number of tracks is harpist Brandee Younger, organist Mitch Henry and acclaimed trumpeter (and band mentor) Darren Barrett who is highlighted on "Band Plays On", among others. 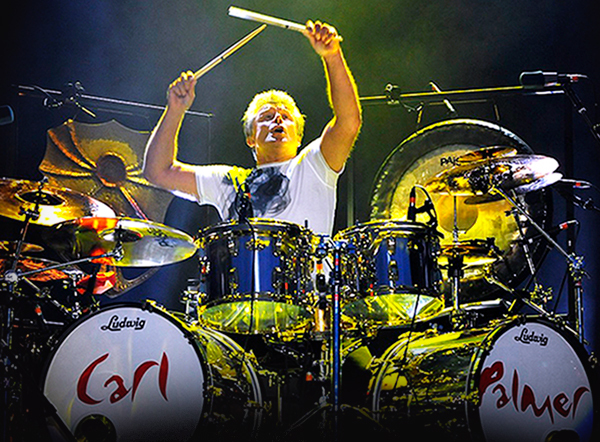 The album was mixed by world-class producer and drummer Charles Haynes aka Chally Mikes. Their first full album of original music, the wide-ranging project is a demonstration of the band's versatility that combines feather light arpeggios, booming percussive statements and triumphant fanfares with ease. Yes Today is their multifaceted contribution to the trap and pop dominant lexicon of millennial black music. With it they challenge the popular narrative and travels leagues toward realizing their goal of making people "fall in love with the idea of a band again." The energy of Yes Today is perhaps best exemplified in the album's lead single, "Band Plays On". Premiered on March 30th via Revive.com, "Band Plays On" pulls music cues from Michael Jackson's "Off The Wall" while speaking to the feeling we all experience when our favorite song magically alleviates the worries of everyday life. On the infectious single, which was mixed by Grammy-award winning engineer Ben Kane, each member of Freelance is highlighted; Smithsoneon's powerful vocals and Ginyard's carefully placed bass fills and provide an anchor while Ausar the Ambassador's synth patches add lush textures. Tejeda's steady guitar work and Tyson's distinctive drum groove compliment the EWF-esque gorns led by Hill. Other standout tracks include the post-punk empowerment anthem "Why Wait", which channels a J Dilla join and Michael Jackson's "They Don't Really Care About Us", and the album's eighth offering "What We Fear", which is Freelance's response to extrajudicial violence. The release of Yes Today marks REVIVE Music's launch of its independent label division. "...To launch this venture with such brilliant musicians and songwriters is exactly the path to take the REVIVE Music Group to places unimagined. We are so proud to be a part of bringing this great project to the world via our platforms." says industry veteran and EVP of REVIVE Music Guy Routte. To date, REVIVE has released three albums under its imprint with Blue Note Records which has featured an astonishing array of featured artists which include Otis Brown III, Bilal, Gretchen Parleto, Derrick Hodge, Marcus Strickland, Meshell N'Degeocello, Keyon Harrold, Brandee Younger, Casey Benjamin, Raymond Angry, Justin Brown and many more. Their 2015 RCA Nina Simone Revisited partnered release produced by Robert Glasper featured artists Lauryn Hill, Usher, Mary J Blige, Gregory Porter, Common, Alice Smith, and more. Revive Music launched in 2006 as a boutique live music agency that specializes in producing genre-bending, creative-concept live music shows that tour worldwide with the purpose of educating and inspiring audiences about artistic and authentic forms of music. In effort further provide an advocacy platform for musicians, Revive launched the leading online journal for the burgeoning jazz community dedicated to their musicianship, artistry and creative expression as a part of Okayplayer.com in 2010 and in 2013 launched their label imprint on Blue Note Records, signing some of today's most gifted and progressive jazz artists. Israeli flutist and composer Itai Kriss is proud to announce the July 7th release of his highly anticipated sophomore album "Telavana." Presenting the dynamic sound of his eponymously-named esteemed ensemble, Kriss bridges the musical spheres of the Middle East and the Caribbean by combining Timba, Soul, North African music and Jazz to create a unique and lively mix of rhythms and textures. Rather than simply combining and unifying the elements of Tel Aviv and Havana, Telavana explores the myriad of connections that have historically connected the east and the west, and the beautiful artistic and cultural fruits of this continuing cross-pollination. 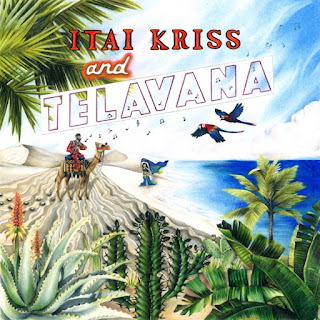 Itai Kriss will celebrate the release of Telavana at Smalls Jazz Club, located at 183 W 10th St, New York on Saturday, July 7th. "Telavana is really a synthesis of my own musical identity, as it is a manifestation of my different cultural roots. As a Jazz musician born and raised in Israel, and coming of age in the Latin music scene in New York City, it feels natural to express where I came from, what I've been doing and the things I'm inspired by in a single band, and this is it," he says. 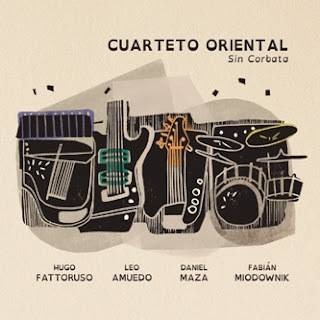 The flutist, praised by Jazzwax as "one of the most exciting new flutist-composers" on the scene grew up in Israel and was exposed to its many musical traditions ranging from Morocco to the Balkans, Yemen to Turkey, Egypt to Russia. Upon pursuing his childhood dream of moving to New York City to study jazz, Kriss was naturally drawn to the enticing sounds of salsa, Afro-Cuban music and Latin jazz and was "adopted" by Puerto-Rican and Cuban musicians who became important mentors. Now, after spending the past fifteen years working at the forefront of New York City's Jazz scene while performing, recording and touring with some of the world's top Afro-Cuban, Latin and salsa artists, the virtuoso fuses the sounds of his native Israel with those of his adopted homelands in the Americas to bring you Telavana. Stand out tracks from the album include "Sahadi's Serenade", a dedication to Kriss' favorite Middle Eastern grocery in Brooklyn and "Shabazi", a festive tune titled for one of his beloved neighborhoods in Tel Aviv, which is notably featured in a music video starring dancer Elena Nayiri. While "Para Venezuela" combines elements of Merengue Venezolano (traditional Venezuelan folk music) with classical, jazz and Cuban elements, "Azules", literally translating to 'blues', is a Spanish/flamenco inspired composition with a form that's based on the blues and melodies drawn from the Andalusian traditions of southern Spain. "Rak Beinatayim", an arrangement Kriss created to a song by prolific Israeli songwriter Nurit Hirsh in the style of a Cuban danzón, is the only song on the album not composed by the band leader. Telavana is presented by a group that aptly mirrors the serene amalgamation of these diverse musical cultures. Representing the sounds of the East is Israeli bassist Or Bareket, Jerusalem-born drummer Dan Aran and special guest qanun player and Turkish-native Tamer Pinarbasi. Kriss completes this multi-regional line-up with Puerto Rican percussionist Marcos López, Cuban pianist César Orozco, New York jazz trumpeter Michael Rodriguez, and world renowned multi-instrumentalist and Cuban-native Yosvany Terry (who on this occasion lends his talents on shekere). Each of these accomplished musicians bring their own individual, distinct cultural backgrounds and flair to this nine track opus. Kriss is thrilled to have these particular musicians bring his vision to life as each of them truly bring the flavours from their own lands to his music. Although each member of the band hails from various corners of the world, this ensemble showcases the ease of communicating through and with music. For Kriss, this music evokes the feeling of being in a world that isn't actually so big as people think. While geographically the Middle East and the Caribbean are distant, the people of both lands channel a range of musical similarities with each other. Undoubtedly, both regions share a strong and congruent passion for rhythm and music and Kriss hopes that his listeners immediately hear this connection on Telavana. 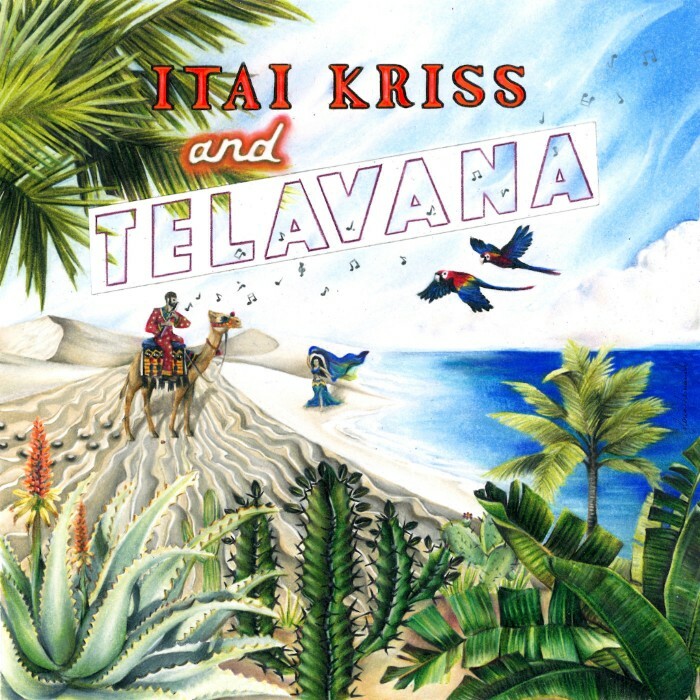 Itai Kriss commands a variety of musical genres with an eclectic style infused with Jazz, Latin and Middle Eastern sounds. According to DownBeat magazine, there is a "tangy, exotic flavor" to the New York musician's style, which can be heard on his first album, The Shark. Growing up in Tel Aviv, Kriss was surrounded by a range of musical and cultural stylings; From Moroccan to Balkan, Yemeni to Turkish. 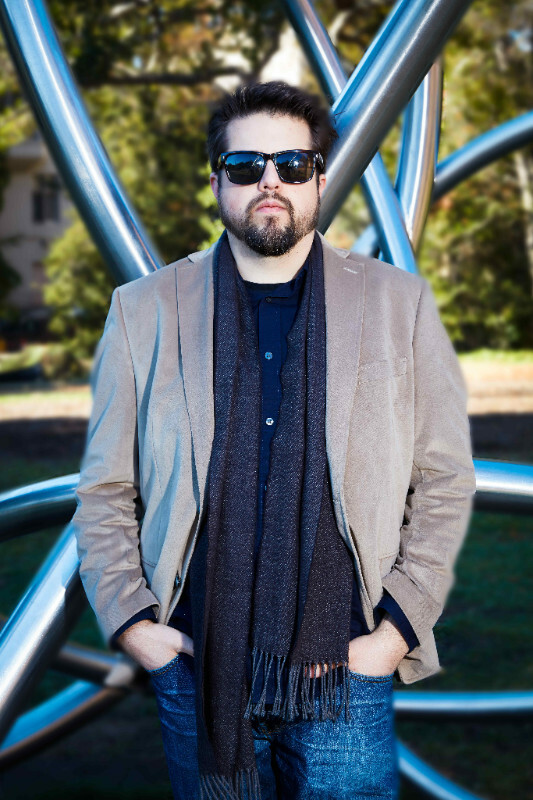 Beginning his jazz education at Thelma Yellin High School for the Arts, Israel, Kriss moved to New York to continue his jazz journey at the age of 22. While jazz was what primarily lured Kriss to the city, the accomplished musician found himself particularly exposed to the music of Cuba, Puerto Rico and Latin America. Playing with Salsa and Cuban groups, he naturally developed his knowledge of the sounds and stylings of the Caribbean. With so many musical styles and traditions in his ear, Kriss never had to make a conscious effort to blend each of his influences, but rather does so fluently and intuitively. During his time in NYC, Kriss has had the fortune to be a part of several bands with long-running weekly dance parties where the sound of the band would be honed and deepened by weekly interactions with dancers who became regular patrons. The dance aspect is very important to Kriss because all Latin and Caribbean music is essentially dance music and it always has a strong pulse which is like its heartbeat. 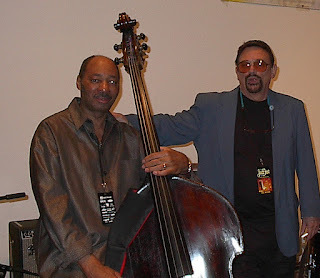 Kriss is a vital member of the New York Jazz, Latin Jazz and Salsa music scenes. He can be heard performing, touring and recording with his own ensembles and some of the most exciting Jazz and Latin musicians in town, including Los Hacheros, Dafnis Prieto, Elio Villafranca, Edmar Castañeda, Jorge Glem, Yemen Blues, Gregory Hutchinson, Burning Spear, Pedrito Martinez, Jerry Gonzalez, Omer Avital, Yosvany Terry, Avishai Cohen, Eric McPherson and Aaron Goldberg, to name a few. When not touring, Kriss performs regularly at premiere New York music venues including The Blue Note, Birdland, S.O.B. 's, Jazz at Lincoln Center and The Copacabana. "Toy Tunes" - the new trio album from organist Larry Goldings, guitarist Peter Bernstein and drummer Bill Stewart - is out today via Pirouet Records. Goldings, Bernstein and Stewart possess a special place within the rich history of organ trios; with their adventurous eclecticism, they progress beyond the bop-influenced soul jazz of the likes of Jimmy Smith, Brother Jack McDuff and Shirley Scott and into their own singular musical realm. "Toy Tunes" marks the trio's twelfth album since their first release in 1991, and their second recording with the German label Pirouet. 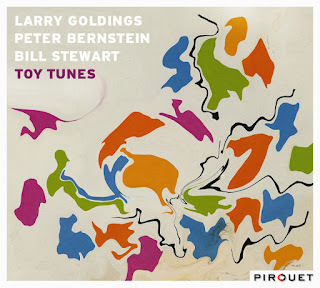 Larry Goldings, Peter Bernstein and Bill Stewart possess a special place within the rich history of organ trios; with their adventurous eclecticism, they progress beyond the bop-influenced soul jazz of the likes of Jimmy Smith, Brother Jack McDuff and Shirley Scott and into their own singular musical realm. 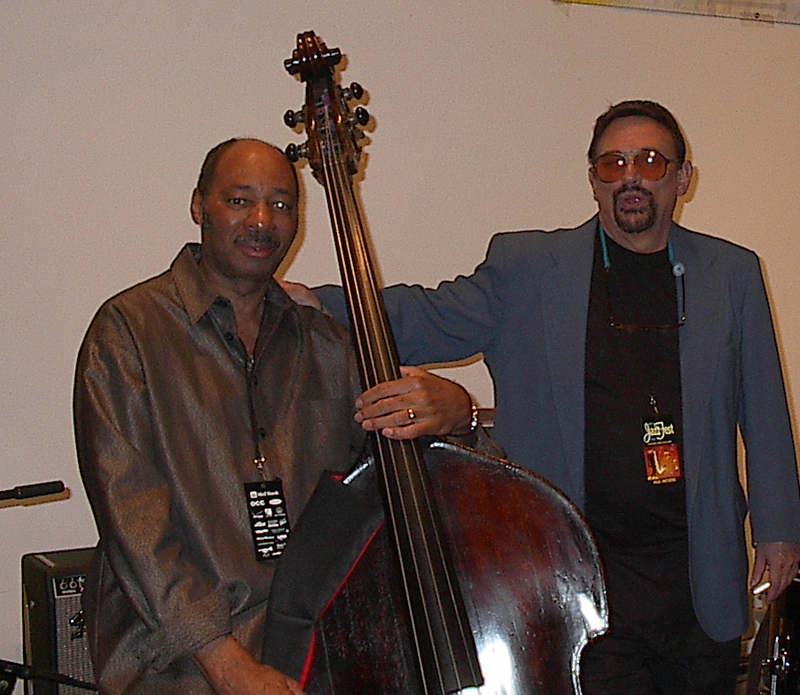 Larry Goldings has collaborated with the "who's who" of soul, pop and jazz, from Maceo Parker, Tracy Chapman, and James Taylor to Jim Hall, Herbie Hancock, John Scofield, and Charlie Haden, and is in demand as a composer for film and TV. 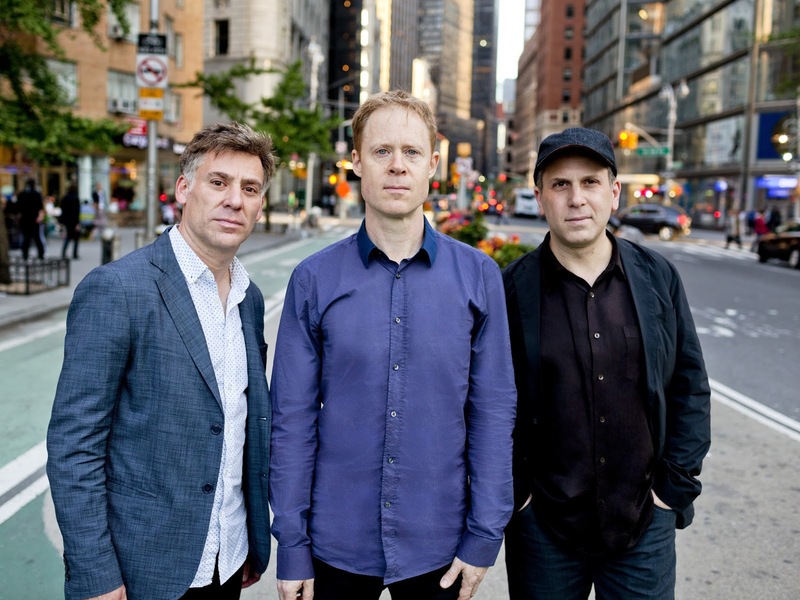 Peter Bernstein has been called "the most universally respected and admired jazz guitarist of his generation", and his work with such greats as Sonny Rollins, Jim Hall, Joshua Redman, and Brad Mehldau backs up the claim. 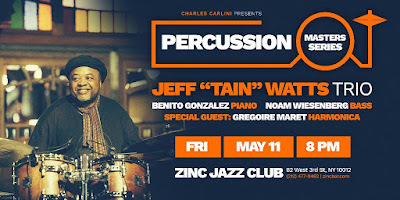 Known for his melodicism and polyrhythmic complexity, drummer Bill Stewart has played with Joe Lovano, Dave Holland, and, like Goldings, Maceo Parker, and has had a long-time collaboration with John Scofield. All three are recognized composers. The press greeted their first Pirouet CD, 2014's "Ramshackle Serenade," with "It doesn't get much better than this" (All About Jazz), and "Another memorable outing from one of current jazz's finest small groups" (JazzTimes). Goldings states that, "Our approach has never been dictated by the 'organ trio' format but rather by our individual personalities, our broad range of musical interests, our desire to be highly interactive, and to grow together as musicians." Goldings' relaxed, lyrical "Fagen" was named for Steely Dan's Donald Fagen, whose records "introduced me to a whole new world of harmony and song structure." Larry comments that Stewart's "Don't Ever Call Me Again" possesses "Bill's unmistakable combination of craftiness and wit." The piece sports a funky fusion feel, and the three keep the communication going as they converse with Stewart's talkative drums. Bernstein wrote the dreamy "Lullaby For B" for his oldest son. Goldings says it "unravels like a novella, and, due to its rich harmonies and unexpected structure, is a joy to play." The standard "I'm In The Mood For Love" is a variation on the arrangement Goldings wrote almost 25 years ago for the great Jim Hall. "The three of us knew and loved Jim, and he inevitably pops into our consciousness when we play this." Goldings calls "And Now the Queen," by genius composer & arranger Carla Bley, "a gem of a composition. I still can't fathom how she can say so much in four bars. Carla's pieces invite the interpreter to dive right in and explore. She gave us her own handwritten chart from which to work!" As for "Toy Tune," Goldings says that improvising on Wayne Shorter's pieces "is akin to playing with a Rubik's Cube." The trio takes a slightly more relaxed stance than Shorter's original version, playing delightful games over the changes, with Stewart wailing over the fading riff at the end. Bernstein's Calm is a beautiful mood piece with a serene church-like quality, and with Maybe, Goldings recounts that, "When I was in elementary school my mom took me on a train from Boston to New York to see my first Broadway musical, Annie. Charles Strouse wrote the music, and his song "Maybe" has always stuck with me. With its timeless melody and shifting key centers, it seemed like a natural fit for us to interpret." Depth, lyricism, complexity - it's all here, as three of the strongest musical personalities of their generation, join hands to play music that is pure joy. 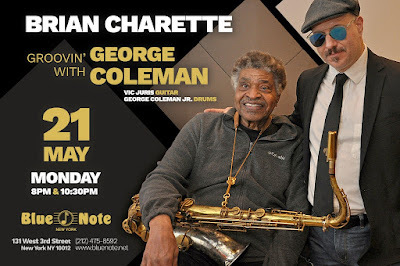 Catch pianist/organist Brian Charette with NEA Jazz Master George Coleman at Blue Note May 21. Book your tickets today! Bassist/vocalist Jeff Denson's "Outside My Window" will be released tomorrow on his label Ridgeway Records. The album features four original compositions and songs by Jeff Buckley, Peter Gabriel, Abbey Lincoln, and Chris Cornell. 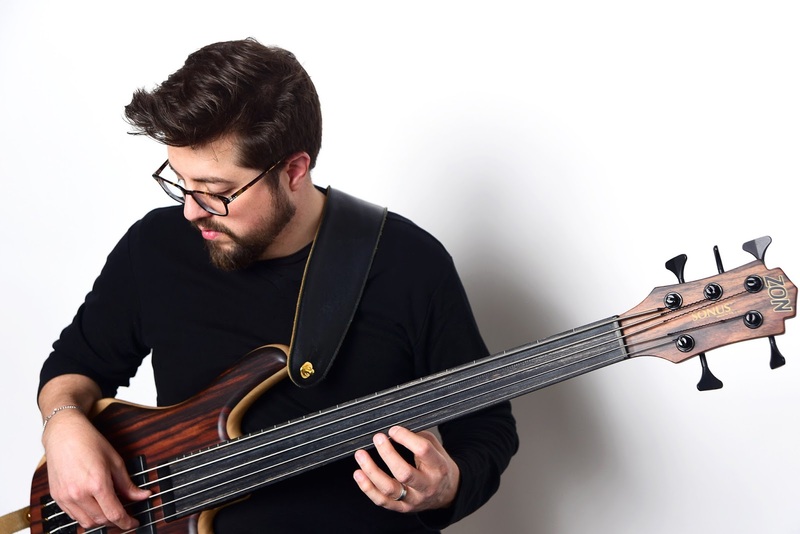 Possessing a galvanizing sound and a lyrically-charged compositional vision, Denson has earned recognition over the past 15 years as one of his generation's definitive bassists. "Outside My Window" recalibrates his already expansive array of creative outlets by giving equal weight to his vocals. Working with a stellar international quartet - with saxophonist Dayna Stephens, Finnish pianist/keyboardist Kari Ikonen, and Israeli drummer/percussionist Ronen Itzik - Denson delivers an emotionally taut program weaving together striking interpretations of iconic songs and deeply felt originals. 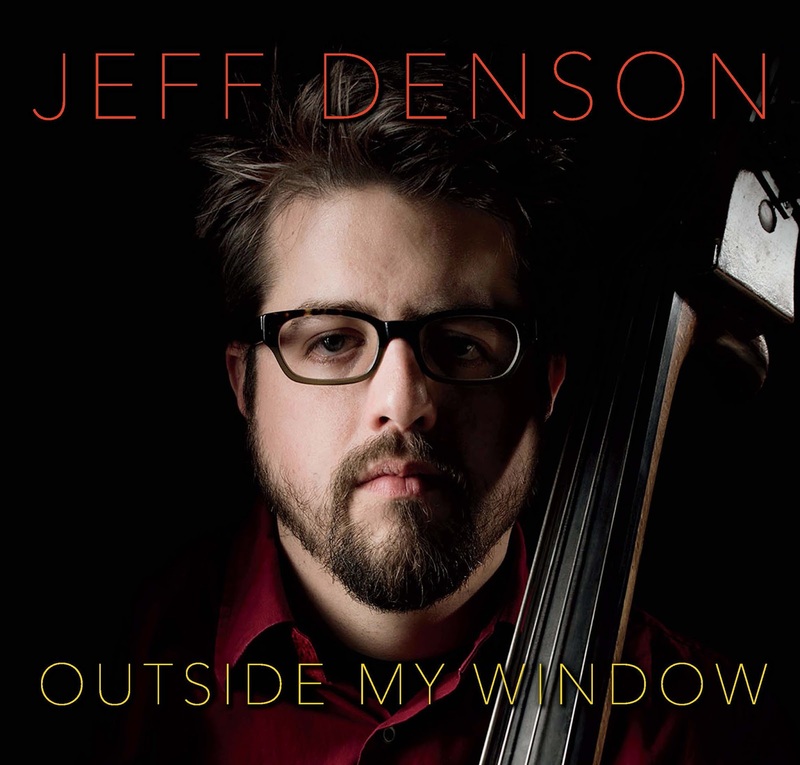 At first glance bassist Jeff Denson appears to reinvent himself on every album, and his 12th release as leader or co-leader, "Outside My Window," might seem like his biggest departure yet. His mid-career emergence as a supple and engaging singer isn't coming from left field. On 2012's critically hailed "Secret World," his first release under his own name, Denson included vocals on two original pieces and has continued in that fashion on most of his solo releases. On last year's Sgt. Pepper tribute "May I Introduce to You" with the collective San Francisco String Trio, his vocal interpretation of "Fixing a Hole" was one of the album's highlights. Denson's music covers a lot of stylistic territory, "but my voice is a thread running through each one, whether I'm singing or not," he says. "I was a singer before I was a bass player. Going into the jazz world I put my voice away for a long time. But this is a logical step for me, in that I'm using my voice more and more every year. This is the first time I'm singing throughout an entire album, and these songs are a direct continuation of the music I've been writing and arranging." Denson's four original pieces stand up impressively next to his interpretations, from the Beatlesque optimism of "For A Brand New Day" to the clangy prepared-piano accompaniment of the anguished "Have We Really Gone This Far?" On a melancholic piece that feels like it beamed in from a universe neighboring Miles Davis' "In a Silent Way," Denson contributes an atmospheric wordless vocal on "Through the Mist," a tune he's radically rearranged since the collective trio Minsarah introduced it in 2006. The closing title track is a wistful invitation into Denson's verdant musical world. With Minsarah serving as his band, the critically hailed Lee Konitz New Quartet debuted on 2007's "Deep Lee" and followed up with 2009's "Lee Konitz New Quartet: Live at the Village Vanguard," Jazzman Magazine's 2010 Album of the Year Award, and 2014's "Standards Live: At the Village Vanguard" (all on Enja). Denson made his debut as a bandleader with 2012's "Secret World," and went on to demonstrate his versatility with simultaneous duo releases, radically reconceiving American hymns and spirituals with San Diego pianist Joshua White on "I'll Fly Away" and exploring freely improvised dialogues with Swiss clarinet virtuoso Claudio Puntin on "Two." 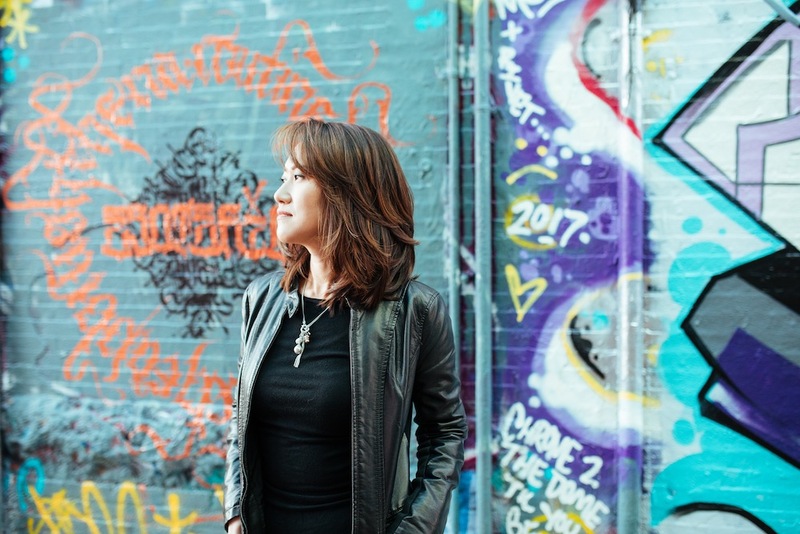 Pianist Yoko Miwa and her trio celebrate recent CD Pathways with a concert at the Atlanta Jazz Festival on Saturday, May 26. Pathways earning wide critical acclaim CD in Top 10 of JazzWeek's national radio charts for 4 weeks; in top 40 for 10+ weeks! Internationally acclaimed pianist Yoko Miwa and her trio continue to celebrate their recent recording Pathways with a concert on Saturday, May 26, 1 p.m. at the Atlanta Jazz Festival, Legends Stage, Piedmont Park, Atlanta. Admission is free. Joining Miwa will be bassist Will Slater and drummer Scott Goulding. Saturday's lineup is particularly special, featuring exclusively groups led by women. Other scheduled artists include Dianne Reeves, Jazzmeia Horn, Terri Lyne Carrington, and Linda May Han Oh. For information visit http://atlantafestivals.com/line-up/saturday/. For the past decade the Kobe, Japan native has honed one of the most musical and lyrical trio sounds around. Miwa's band, which has been heralded for their almost telepathic interplay, performs regularly at major jazz clubs worldwide including New York City's Blue Note Jazz Club and Jazz at Lincoln Center where Miwa was chosen to play on "Marian McPartland & Friends" as part of the Coca Cola Generations in Jazz Festival. She has performed and/or recorded with a wide range of jazz greats including Sheila Jordan, Slide Hampton, Arturo Sandoval, George Garzone, Jon Faddis, Jerry Bergonzi, Esperanza Spalding, Terri Lyne Carrington, Kevin Mahogany, John Lockwood and Johnathan Blake among others. A Boston Phoenix Best Music Poll winner, Miwa is on faculty at Berklee College of Music and earned two 2017 nominations in the Boston Music Awards: Best Jazz Artist and Best International Artist. 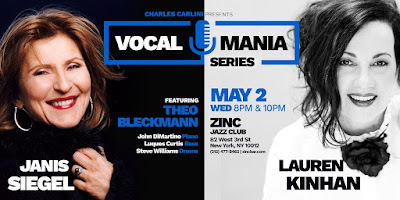 Tomorrow only: Join Vocalists Janis Siegel and Lauren Kinhan for a splendid evening of Vocal Mania at Zinc jazz club in NY! Featuring special guest Theo Bleckmann. 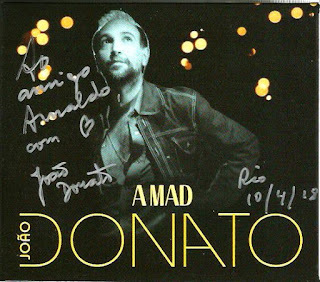 Box Set of the Month - "João Donato: A Mad Donato"
4-CD box set including the albums "Raridades Anos 70," "Gozando A Existência," "Naquela Base" and "Janela da Urca." All tracks previously unreleased. Fusion CD of the Month - "Cuarteto Oriental: Sin Corbata"
Vocal CD of the Month - "Lauren Henderson: Ármame"
On her lovely and coolly sensual new recording, "Ármame," vocalist Lauren Henderson delivers an eclectic set of jazz, Latin jazz, and other styles in a program reflecting her African-American and Caribbean heritage and her omnivorous musical tastes. Produced by veteran broadcaster and Sirius/XM jazz host Mark Ruffin, the CD was released on her new label, Brontosaurus Records. 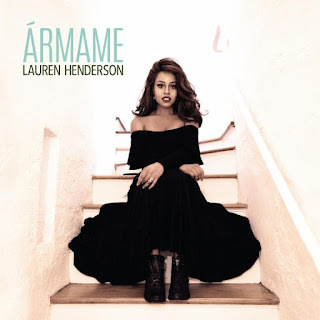 The album's title translates as "Arm Me" (as from a broken heart), and the subtitle "Songs of Love and Loss" provides insight into Henderson's repertoire choices. In addition to premiering three new originals, the vocalist adds to her already impressive credentials as a deft interpreter of others' songs with heartfelt arrangements of "Love Is a Losing Game" by Amy Winehouse, Blossom Dearie's heartbreaking classic "Inside a Silent Tear," and Donny Hathaway's "We're Still Friends." The two songs on which Terri Lyne Carrington sings backup vocals -- "To Wisdom the Prize," by Larry Willis, and "Better Days," a nod to Chaka Khan, who's a favorite singer of Henderson's -- are a particular highlight. "There's this special, natural thing about how our voices go together," Henderson says of working with Carrington. One of Henderson's major influences, Shirley Horn, is represented by two mid-tempo selections from that master of restraint's songbook: Curtis Lewis's "The Great City," a onetime Nancy Wilson vehicle Henderson personalized with Spanish lyrics, and Bart Howard's "Let Me Love You," which was also recorded by Johnny Hartman. "I've always loved Shirley Horn's delivery," says Henderson. "There are a lot of layers to her singing." "Ármame" is anchored by the great young pianist Sullivan Fortner, a friend and colleague since Lauren first arrived in New York. "Not all pianists are as good playing with singers as they are working as solo artists," she says. "He is." Bassist Eric Wheeler and drummer Joe Saylor of The Late Show with Stephen Colbert round out the rhythm section; the CD also features a strong set of soloists in alto saxophonist Godwin Louis, trumpeter Josh Evans, and guitarist Nick Tannura, plus percussionist Nanny Assis. Lauren Henderson was born on November 5, 1986 in Marblehead, Massachusetts, a town outside of Salem. 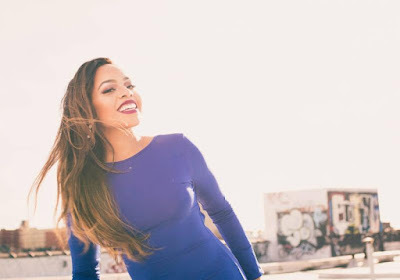 Her father, of African-American and Caribbean ancestry, and her mother, the daughter of immigrants from Panama and Montserrat, are lovers of jazz and Latin music and exposed their daughter to these and other genres when she was growing up. While at Wheaton College, where she double-majored in Music and Hispanic Studies, she says, "I discovered my voice." Enrolling in classical voice and musical theater classes, she became the musical director of a gospel/R&B singing group and a member of the school jazz band. Henderson spent a year abroad in Mexico, where she studied the traditional music of the Yucatán at Benemérita Universidad Autónoma de Puebla, and in Spain, studying flamenco singing and dancing at La Universidad de Córdoba. 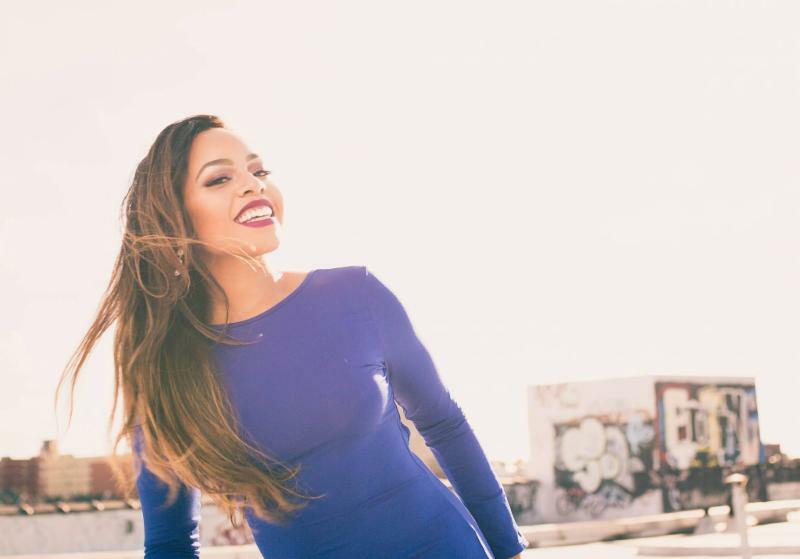 After graduation, she moved to New York and got a day job with MTV, studied with such jazz notables as Paquito D'Rivera, Barry Harris, and Jane Monheit, and began performing at jazz clubs and restaurants. Her first album, "Lauren Henderson" (2011), which featured Fortner, included funky treatments of "Skylark" and "Born to Be Blue" among more traditionally rendered standards. DownBeat touted Henderson as "an inviting singer whose low-level dynamic draws the listener in." JazzTimes compared her to Peggy Lee, saying she appreciates "how to swing hard without swinging too hard." "A La Madrugada" ("At Dawn," 2015), which she produced and arranged, featured an expansive cast of players, Fortner among them, and seven original songs including the sleek, smoothly grooving "Accede." Acting on a hunch, Henderson sent a copy of "A La Madrugada" to Mark Ruffin while he was a music supervisor on the indie film The Drowning. Ruffin was able to place "Accede"onto the soundtrack and would eventually produce "Ármame." "I love her tone, her heritage, the quality of her voice," says Ruffin. "She's so talented, and one of the smartest singers I've ever worked with when it comes to the business of music. Also, there are very few folks singing in Spanish the way she swings it. I thought that was something that could not only expand her audience, but also expand jazz." Henderson, who divides her time between New York and Miami, changes her approach to music depending on her audience. "Everyone has a different level of experience with Latin music," she says. "In Miami, with its strong Cuban presence, I sing very differently than I do in New York, where the cultural influence is so much broader. It's partly a matter of brightness versus darkness." Lauren Henderson performed a CD release concert at Regattabar in Cambridge, MA on Friday 3/30. Upcoming New York City shows include the Blue Note, Sun. 5/27, 11:30am, and Minton's on Sat. 8/4, 7pm.